Thanks to everyone who wished me well on my holiday. 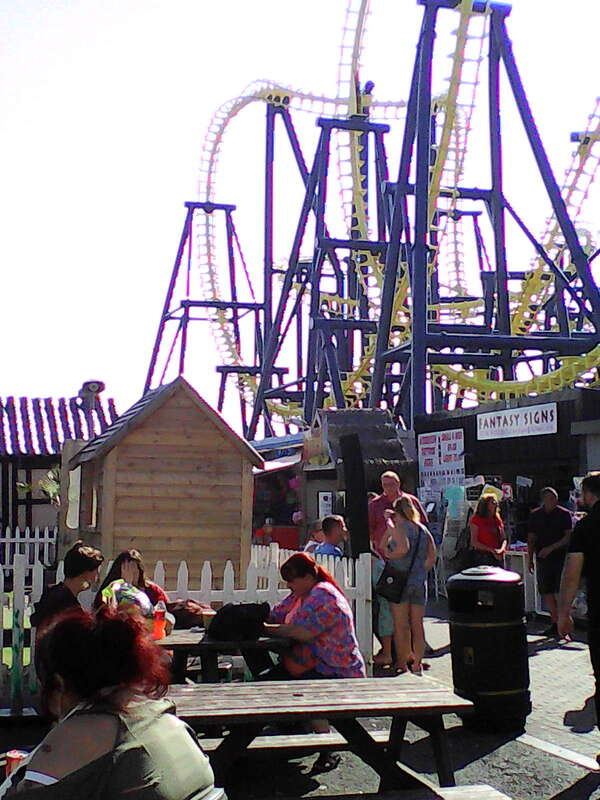 It was just a long weekend at the Butlin’s Holiday Camp in Skegness and then a couple of days at Cleethorpes but it was nice. Now, I’m back and it’s back to the tour of the 1980s through my eyes. It might not be well known but before this album came out, The Hooters had some previous commercial success when they co-wrote Cyndi Lauper’s second big hit single, “Time After Time.” Trust me, The Hooters’ version of the song totally blows Lauper’s out of the water. At least I think so. Looking back into history, one shouldn’t have been surprised when they did make the big time. I remember their first single and one of my favourite tracks on the album, “All You Zombies” getting played quite a bit on the radio. Then to my surprise, on a visit to Rhode Island, I saw the video to said song played on a local music channel. That confirmed that The Hooters had actually made it. My theory behind the the success of “Nervous Night” was it down to the music being a bit different. Some called it new wave or punk because that was the label given to any music that didn’t fit any mold in 1985. I always think it’s great when you can’t pigeonhole music that’s good. The closest track that may fit into the mold others try to impose on it would be the fourth one, “Don’t Take My Car Out Tonight.” There is a synth sound supporting a hard rock sounding guitar along with some of the other unique instruments the band plays like a melodica. Saying that, it’s all done well. “Hanging on a Heartbeat” can also fit this mold and it does have a good guitar solo. “South Ferry Road” is a pretty good rocker as well and “She Comes in Colors” has a sound reminiscent of The Cars. I think most people believe it’s great when a local artist makes the big time and for most people in the Delaware Valley, it was The Hooters in 1985. 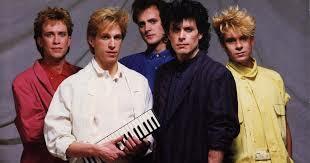 This would be their year as “Nervous Night” would win several awards and the band would open the Live Aid Concert. Yes great things and two years later, The Hooters would be one hit wonders in the UK but that’s a story for another day.